Thu., 25 Jul. - Mon., 29 Jul. Tue., 25 Feb. - Sat., 29 Feb. Sat., 20 Jul. - Sun., 11 Aug. Thu., 5 Sep. - Sun., 15 Sep. 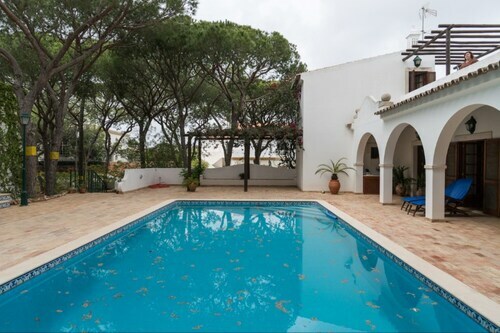 Mon., 19 Aug. - Thu., 22 Aug.
See all 1,248 properties in Faro Intl. 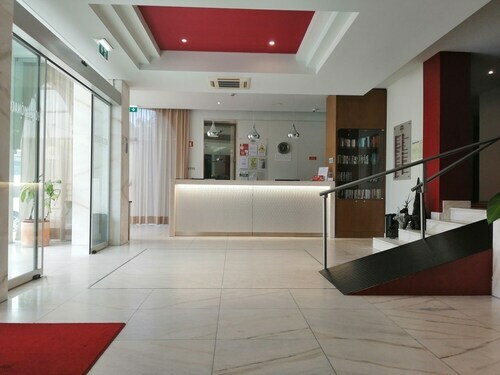 Located in Sé, this hotel is steps from Faro Marina and Misericordia Church. Hermitage of Nossa Senhora de Guia and Sao Pedro Church are also within 5 minutes. Faro Station is 9 minutes by foot. 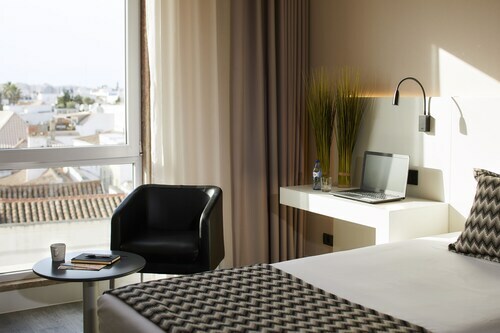 With views over Faro's glamorous waterfront, Hotel Eva is a 5-minute walk from the lively Old Town. Guests can take a boat to Ria Formosa National Park and watch the birds take flight. Faro Beach, with its picturesque fishermen's houses and watersports in summer, is a 15-minute drive away. Situated near the airport, this hotel is 1.1 mi (1.7 km) from Ria Formosa Natural Park and 2.8 mi (4.4 km) from Faro Island Beach. University of Algarve and Faro Municipal Theater are also within 3 mi (5 km). 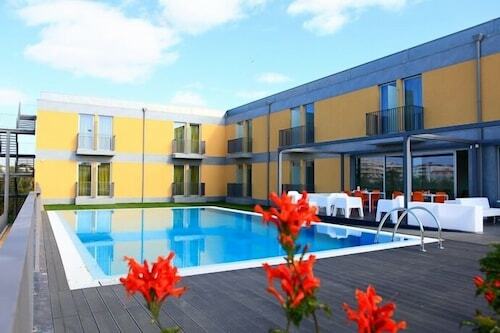 Situated in Faro, this hotel is within a 15-minute walk of Faro Marina, Ria Formosa Natural Park, and Faro Old Town. Sao Pedro Church and Faro Municipal Theater are also within 10 minutes. Faro Station is only a 3-minute walk. 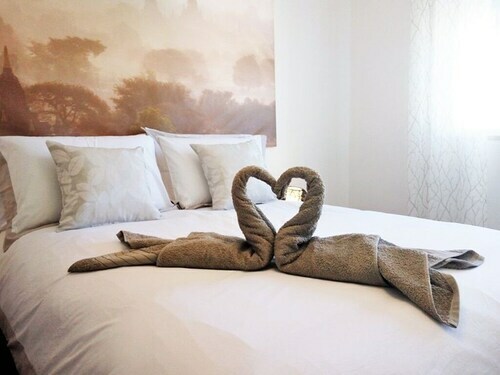 Situated in Faro, this hotel is within 3 mi (5 km) of University of Algarve, Ria Formosa Natural Park, and Faro Old Town. Faro Municipal Theater and Forum Algarve Mall are also within 2 mi (3 km). 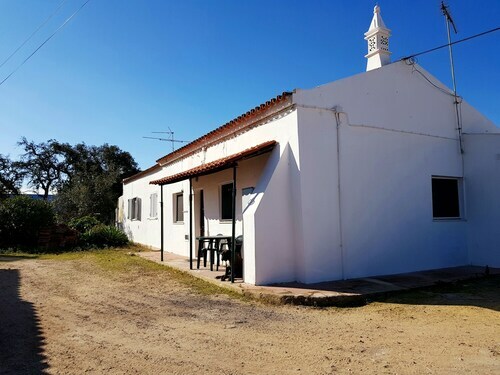 Situated in Faro, this vacation home is 1.3 mi (2.1 km) from Ria Formosa Natural Park and 2.9 mi (4.6 km) from Faro Island Beach. University of Algarve and Faro Municipal Theater are also within 3 mi (5 km). Situated in Faro, this apartment building is 1.4 mi (2.3 km) from Ria Formosa Natural Park and 3 mi (4.8 km) from Faro Old Town. University of Algarve and Faro Municipal Theater are also within 3 mi (5 km). Situated in Faro, this apartment building is within 1 mi (2 km) of University of Algarve and Ria Formosa Natural Park. Faro Island Beach is 2.8 mi (4.4 km) away. Question : Which airline has the least delays from Lisbon to Faro? Answer : Booking with TAP Portugal means you will arrive to Faro about the time you were supposed to. In fact, this airline has a 79% average for getting there on time. It never hurts to be prepared. If you should choose this airline, be sure to track the flight status to stay on top of the departure time. Question : How long does it take to fly from Lisbon to Faro? Answer : If you're able to take the direct flight (which is offered by TAP Portugal), you will be able to leave LIS at 4:15 PM WEST and get to FAO at 5:00 PM WEST (45 minutes). Question : What is the cheapest date to fly to Faro? Answer : Tickets are currently being sold for $194, which is 9% below the average price. As of Apr 15th, the cheapest day to fly from Lisbon to Faro is May 3rd. Question : What is the cheapest airline flying from Lisbon to Faro? Answer : TAP Portugal strives to keep prices down for their passengers over the next three months. Fares are being booked at just $193, which is a good deal when compared to the high-end bookings of $580. Question : How long do most people stay on their visit to Faro on average? Answer : Of course, you are not most people, but if you were, you'd stay about six days. Question : How much is a plane ticket to Faro (FAO) from Lisbon (LIS)? Answer : Cost can range from $193 to $580, prices for LIS to FAO change less than the majority of routes in Portugal. The further out you book your ticket, the more likely you are to save on your trip. Question : From Lisbon to Faro, which day is going to have the most flight times? Answer : When you’re flying from LIS to FAO, the day with the most flight times is Saturday, with seven different options. However, with six flight times, Friday doesn't offer quite as many options when finding that perfect departure time.